Hey dolls! Today I’m wearing a polish that was all the rage when it was released back in 2011, Butter London Wallis. 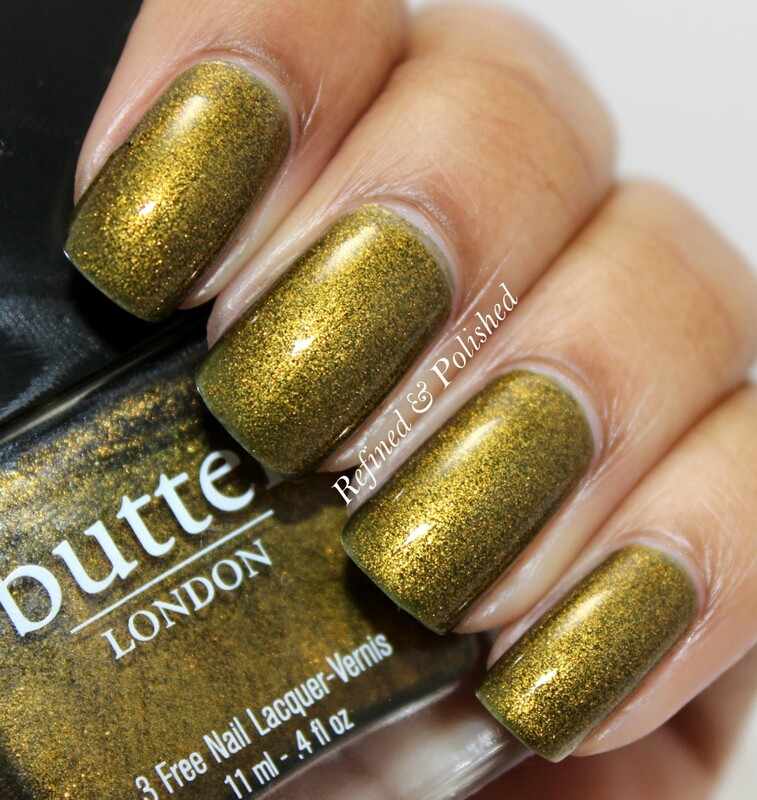 Wallis is described as a tarnished, metallic olive gold nail lacquer. The formula was a breeze to work with. It applied easily and was opaque in two coats. The brush strokes leveled out immediately, which doesn’t always happen with metallics. I wasn’t really sure if I was going to like Wallis on my complexion, but I was completely wrong. I love this shade! Don’t you just love when a polish lives up to the hype?!? Happy hump day dolls!